The Seiberlings are a big family of little men. Frank A. Seiberling had six children; his brother Charles, four. None is over five feet, six. But what the Seiberlings lack in height, they make up in energy and enterprise. F. A. Seiberling founded Goodyear Tire & Rubber Co. in 1898, was ousted in 1921 by Dillon, Read & Co. He immediately started Seiberling Rubber Co., in six years boosted it from 330th to seventh place in the industry. Last week, in Adrian H. Muller & Son's musty old auction rooms at No. 18 Vesey Street, Manhattan, he gave an exhibition of his financial talents. 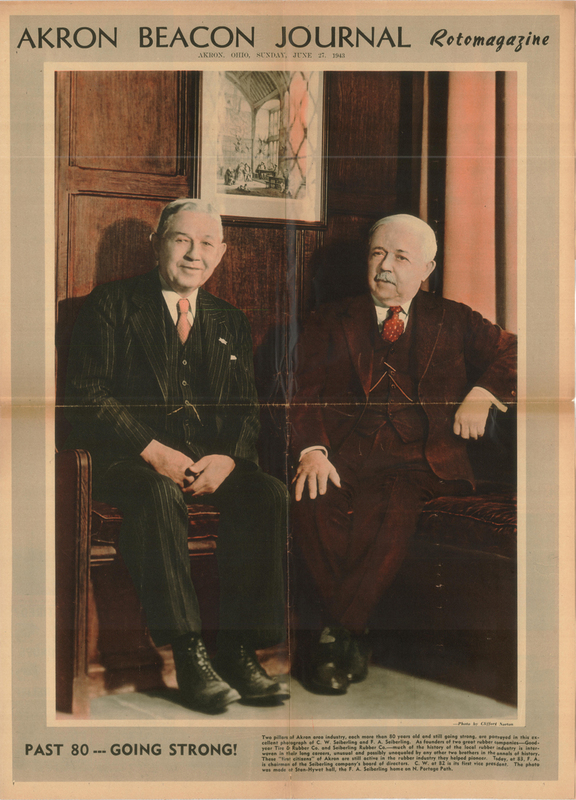 In 1927 shrewd old "F. A.," with Cleveland Banker Cyrus Eaton and Oil Tycoon Edgar B. Davis [see: Time, Jul. 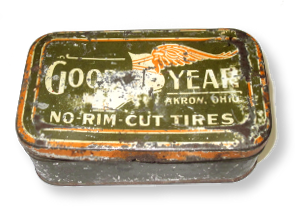 1, 1940], formed Ohio Goodyear Securities Co., a personal holding company, one of whose assets was a big block of Goodyear Tire & Rubber common. Cyrus Eaton presently took this Goodyear stock and put it in a new corporation known as Goodyear Shares, Inc., in which F. A. had an equity. In 1930, spotting trouble ahead for Goodyear, he swapped this equity for 64,554 shares of U. S. Rubber Co. common. Bulk of this latter stock, which was charged off to him at $18 a share, next found its way to several banksas security for a Seiberling Rubber Co. borrowing of $3,100,000 in the form of two-and three-year 6% debentures. What with depression, Seiberling Rubber still owed $2,350,000 in January 1937. But the banks by the terms of the indenture could not liquidate the U. S. Rubber collateral without first liquidating Seiberling Rubber Co. To stave off this threat, F. A. Seiberling arranged for Ohio Goodyear to take over the notes, a bookkeeping transaction to which the banks consented because the indenture was rewritten with the U. S. Rubber stock as first collateral. Edgar Davis consented because the banks agreed to lend Ohio Goodyear $500,000 for an oil venture Davis was interested in. Last year the banks unloaded about 40,000 of the U. S. Rubber shares at $50 a share. Yet at year's end Ohio Goodyear still owed $752,000 and was worried over the tax on the profit made by selling at $50 a share the U. S. Rubber stock which had cost $18. Last week both headaches were solved at a public auction of the debentures. Only one bidder - a Seiberling representative - turned up at the sale. He bid just once: $752,000. Thus, F. A. 's company bought back its entire funded debt, $2,350,000, at 32% of its face value, simultaneously paying off Ohio Goodyear's bank debt and canceling the profit from the stock sale. However, on the paper profit ($1,598,000) from acquiring the debentures at the written-down figure, Seiberling Rubber Co. must pay a 19% capital-gains tax of $303,620. Net result: Seiberling Rubber retired its $3,100,000 loan by a cash outlay of $1,805,620 (plus interest). F. A. lost on the deal - but won because his company benefited. F. A. 's company has had as many ups & downs as an old inner tube. For the last fiscal year (ending October 31), with Son J. Penfield ("Shorty") Seiberling moving up to the presidency and septuagenarian "F. A." to the chairmanship, the company is expected to show a profit running into "six figures." An Akron Beacon Journal Sunday cover in June 1943 featured F.A. Seiberling and his brother, Charles.